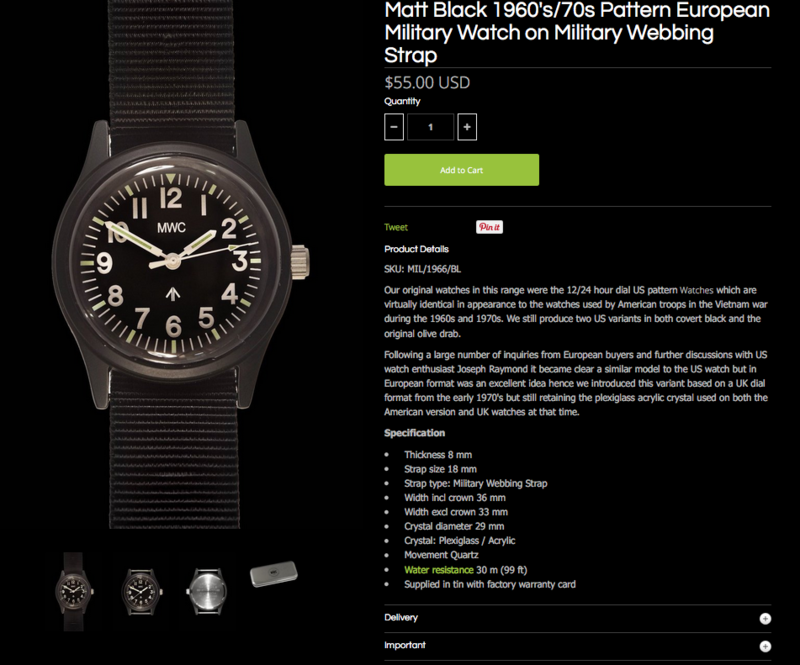 I helped design a watch with MWC, and they are now on their website for sale in black and olive! 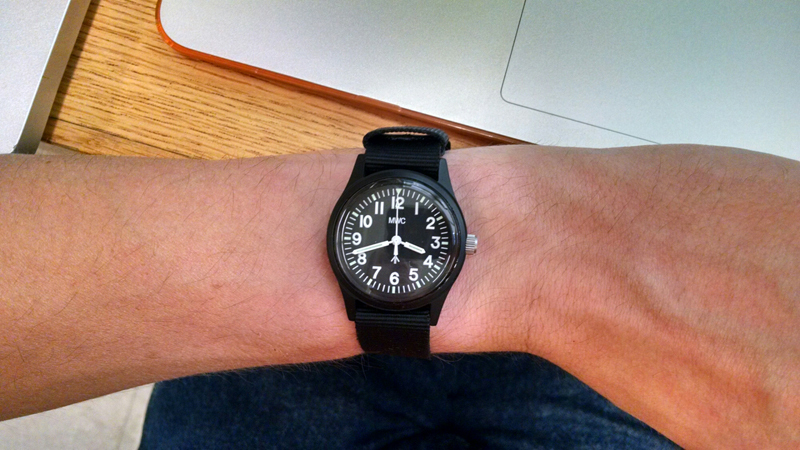 MWC’s production version of my redesign of their “vietnam” watch. To be fair, I only redesigned an existing watch dial. The rest is all MWC. It all started with me asking a bunch of questions about their “vietnam” watch. They were very responsive and even gave me manufacturing details as far as movement type (Miyota 2035), and manufacturing location (Japan). I wasn’t sure on the 24hr design, but it was such a handsome watch that I ordered one anyway. After getting it in, I decided to do a little photoshopping to adjust it more to my liking and then shared the results with MWC. I specifically removed the 24 hour numbers, reshaped the hour indices and changed their color. They liked it so much that they decided to make it. MWC then added a pheon, making the design officially theirs, not mine. They have recognized me officially on the website though and will be sending along an official letter stating my help in the design of this watch as well. Way cool! They also sent me a couple of the watches and two of their nice zulu straps as well. What a great company. Right from the get-go they’ve been very fun talking to back and forth and a real joy to work with. Left: MWC “vietnam” watch. 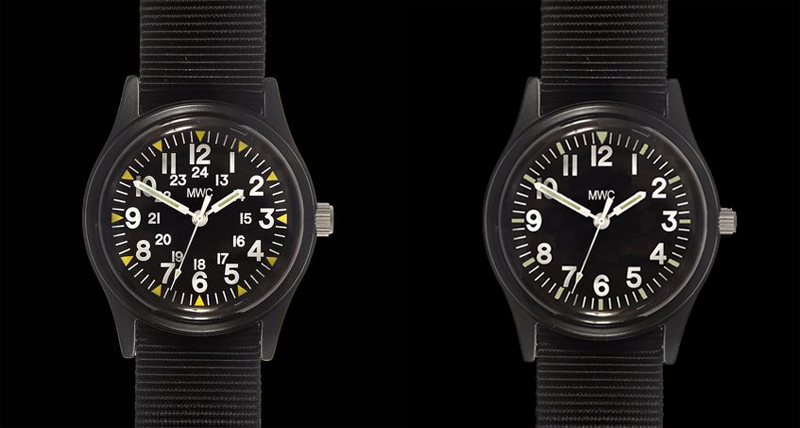 Right: My photoshopped redesign of the “vietnam” into a 12hr dial. Screenshot showing where they mention my name on the website. This entry was posted in Hobbies, Personal, Projects, Web/Internet. Bookmark the permalink.